The diagnosis is in on Brooks Orpik, and of course, it's bad: a broken finger, which will sideline the pulse of the Pens' defense for four weeks. What, you expected good news? 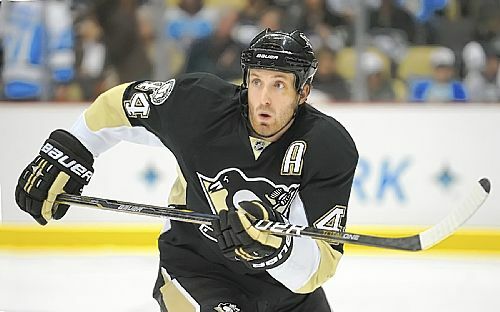 Given the Pens' luck, Orpik's lucky they don't have to amputate that finger. Now that the Pens have three less defensemen than they did a few games ago, Rob Rossi writes that the team "is looking at D options" and that they "aren't done". Maybe they can swing a deal for Alex Goligoski? But seriously, the situation on D should get a little better if Paul Martin can return as expected for the team's next game on Friday against Carolina. That's a good starting point. Mark Letestu and Dustin Jeffrey are also expected to return for that contest from the Pens' overcrowded list of the walking wounded; so with three guys coming back, plus Kovalev, plus the Dallas guys, there are a few reasons to be moderately optimistic about the team's short-term health entering a five-game road trip. Although this season, being optimistic is kind of dangerous. With the Pens' recent history, getting six healthy bodies back probably means Marc-Andre Fleury will slip on a banana peel and have an anvil fall on his head sometime in the next 24 hours. The sad thing is, who woulda thought in late December that in February the Pens would be placing their hopes of securing any kinda of home ice through the playoffs, on an injured Letestu and Jeffery returning? Kovalev and Neal aside, at exactly what point does the picture get any brighter for this team? I think it's when they can go a minimum of 2 games without losing another core player. Fluery and Letang have to be counting the minutes at this point.